Plants are really amazing and beneficial to just about all living things. Plants can be used for food, to purify the air that we breathe, for decoration, for medicine, and the list goes on. But in this article, we will be looking at plants that repel insects. I believe that wise gardening is not just planting for beauty, but using plants that can serve more than one purpose. Your garden should be designed in such a way that when planning in this way it makes life more easy for you. When planting your garden try and incorporate a few of these plants with your other garden plants to bring balance and overall health to your garden area. Here are some herbs that you may be cooking with and are not aware that these plants are great insect repellents. 1. 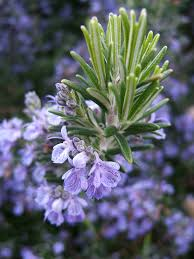 Rosemary-this herb is great to cook with and can give your recipes that BANG, but this herb is also good to get rid of mosquitoes and bean beetles. 3. Mint plant-bugs hate the smell of peppermint, you can crush them and rub the leaves on your skin, this will keep insects away. it is also believed that planting enough mint in your garden area can keep mice away. 4. Lemon thyme-lemon thyme with its amazing aroma is hated by mosquitoes and is a must to add to your garden area. 5. Tansy-tansy is another garden herb that is used to repel mice, flies, moths, ants, and fleas. Tansy makes a great garden choice. 6. Basil-basil is used to flavour foods such as rice and meats, but do you know that this herb is great to keep roaches, moths, mice, and flies out of your pantry. Just place a few on each shelf and watch as these leaves work wonders for you. 7. Garlic-garlic is a strong herb that can really wake up your food care should be taken when cooking with this herb. Planting garlic around your garden area can keep away flies, ticks, ants, and mosquitoes. Besides insects, garlic has been known to repel deer, moles. 8. Thyme-thyme with its pleasant aroma and taste makes a good deer repellent. You can plant thyme around the borders of your garden areas. 9. Sage-sage is also a good deer repellent and can be planted around the border of garden areas. 10. Chives-chives have a great taste and add that much need flavour to soups and salads. This herb is effective in repelling aphids. 11. Lavender-lavender is great for flavouring foods and is also great in keeping away rabbits and mosquitoes. When planting herbs make sure that you plant them in the garden area that gets a least 4-6 hours of sunlight. The same goes for planting and placing them around porches and patios. Plant herbs in good a garden soil or add organic material to the soil to help with soil quality such as proper air circulation and moisture holding capacity. It is best to use fertilizers such as cow and chicken manure since you will also be using these for food also. Summer has passed as the cool weather begins to set in, doing this time many plants take a nice long nap until spring comes around again. To ensure that you continue to enjoy the benefits of your herbs, it is time to go into winter mode. 1. Remove the herb from the soil before first winter frost. Make sure not to damage the root ball, the roots are tender and much care should be taken. 3. Even though herbs repel some insects, there are still a few that finds herbs to be a good meal so use an organic spray to eliminate these insects before transporting herbs indoors. 4. Make sure and keep your potted herbs outdoors but out of direct sunlight for about a week and a half. By this method, you will be preparing your herbs to survive indoors doing the winter months. 5. Once your herbs are on the inside make sure keep them near a window where they can get at least 4-5 hours of sunlight per day. Make sure and turn the pot so that entire plants can get that much-needed sunlight. 6. If you prefer, you can install grow lights which can be purchased from home depot or a garden supply store. 7. Make sure and use trays add a layer of gravel and set plant pots on top of the gravel to help with drainage. Make sure that each pot you plant your herbs in has a drain hole also. 8. Keep plants group together to produce humidity. 9. With your finger check soil moisture level. Allow the soil to dry out a bit and then water again. 10. You can remove or harvest a few leaves at a time, this will also encourage new growth. 11. Use a liquid fertilizer in small amounts. Make sure and read the label or check with your garden center salesperson. Herbs are amazing plants because they can be used for medicine, their vitamin content, as repellents for insects and animals also for flavoring foods. Herbs are one of nature’s wonders so let’s make them a part of our garden feature. I have never realized that herbs repel insects. This is wonderful information and makes me want to go start a herb garden of my own. Do you have any advice for keeping them inside in separate pots? Being it is now winter, I would like to start with a few indoors. Hello Cathy it is so good to meet you, I am happy that you find this post helpful. What you can do is buy some seed trays from your garden center, buy herb seeds like basil, rosemary, chives, thyme etc… buy good garden soil. Put soil in seed tray fill tray almost to top, then put one seed per hole. Once seeds are in hole apply more soil to cover seeds. Water seeds with a water jug. Keep trays near window to get 4-5 hours of sunlight or you can buy grow lights from your garden center and install in the area where the seed trays are stored it is important that seeds get light in order to survive. Make sure and let soil dry out a bit before watering again. Do this and in time you will have your own indoor herb garden. Hope this helps. All the best and give me a shout and let me know how it goes. Wow, this is just I what was looking for a long time! I live in a hot country, and my garden is filled with mosquitoes in the summer and to tell you the truth I am going crazy with them! Your article gave me so much great information about the plants that repel insects! Thank you very much! I will definitely try the garlic and the lemon thyme. It sounds great! Hello Daniella it is so good to see you again and I am glad that I could help. Wishing you the best of success have a good evening and if I could be of future help to you please give me a shout. All the best to you and have a good day. You know I would have never thought to plant plants that would help repel insects. I really never thought you could do that. I love this post and I have wrote down which plants will be most beneficial to me. Tansy, Basil and Garlic look like the best ones for me with the bugs we get here in Texas. Great information on what to plant and how to take care of them! Hello again my dare friend it is always a pleasure to see you. I am glad that I could help. All the best to you and have a great evening. Hi there Mr. Richards I like your post. Great information here. I have recently found a local herb store and am now drinking Red Clover tea and I have never liked tea, but this stuff is amazingly good and has many herbs that have all kinds of health benefits. I have also initiated a process of a pain salve that is made with plants. I tried a friends recipe that was also amazing and decided to try a batch, it is fermenting now and will be for another six weeks and if it turns out I will be sharing with friends and family. I have just begun my path into the natural side of life and you have offered much for me to consider. Thanks for all the great information and the best of luck to you. Hello Wanda it is so nice to meet you, herbs are a great blessing and can do wonders for our bodies and the great part is that there are no side effects. I am glad that I could help and wishing you the best of success and good health as you continue to discover the amazing wonders of herbs. Have a good day. We love using our herbs to help repel insects! We have tons of basil planted throughout our garden and have zero bugs!! I live in Louisiana so there are ALWAYS tons of mosquitos everywhere. But in our yard, we barely seen the suckers! And garlic has helped loads with getting rid of our deer problem!! Thank goodness for these awesome herbs! Hello it is so good to meet you, and I agree with you. Herbs are so amazing in how we get so much use out of them. All the best to you and have a good day. Hi Norman, I;m LeNard. You have a lot of great information on your website. Your resources are laid-out in an easy to nav website. I was able to understand everything you posted. I do have a quest about hydro gardens. I noticed that you do not mention anything about hydro gardening. Do you have in information, I have two aero gardens that I grow herbs in. I grow a lot of basil, orangeno, and mints and tomatoes. Hello LeNard it is so good to meet you and thanks for those kind words, I will be adding more helpful information to my website so just be on the look out. All the best to you and have a good day. At least know this for next year, so I will be taking up this advice. Hello it is so nice to meet to meet you and It is amazing the many uses that we can get from herbs. Glad that I could help, all the best to you and have a good day. Just recently “the seed” to plant a beautiful garden has been growing for me. I am tired of looking out of my window at a dreary wasteland. It is definitely time I did something about it. Your tip on planting herbs in order to repel unwanted insects is definitely something that I am going to incorporate into it. Thanks for the idea. Hello Michael it so good to meet you, and I am glad that I could help, wishing you the best of success with your garden and please let me know how it goes,have a good day. I have a couple of these plants in my outdoor space, Lavender and Mint. The Mint is like a weed in the flower beds, I have had it in the last three houses. I did not realize that it would keep insects and mice away. We use a little in our tea for a refreshing taste. We also plant Marigolds in with the Tomatoes in the spring, this is supposed to keep the cut worms out, have you herd of this before. Hello john It is so good to meet you, It is amazing what wonder herbs can do, as for planting marigolds with tomatoes I have not heard of it before, will do some research on this. 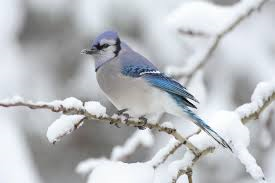 Thanks again all the best to you and have a good day. Wow, just the post I was looking for! I remembered hearing about companion planting and certain plants that deter different types of pests and I was getting ready to look into it for my yard when I came across this post. I appreciate the breakdown of different herbs and their benefits as well as the mention of plant care for winter since we are approaching the season. I will definitely put some of these tips into action and try it out for myself. Hello it is so good to meet you, and I am glad that I could help. Wishing you the best of success with your garden. Have a good day. This is my second year of growing a garden of vegetables and herbs. I never knew that certain plants can repel bugs! I have been growing lavender and it is nice to know other properties of this plant other than beauty and smell. I get so annoyed when the season brings in flies. They always seem to sneak into my house when I am going in an out. Thanks for the great ideas of plants that can repel those pesky flies. Next summer I will make sure to grow some Basil by my patio! And I just wanted to let you know that you listed ‘Basil’ twice. Just a thought 🙂 Thanks much. Hello it is so good to meet you, I am glad that I could help. And thanks for you help all the best to you and I wish you well with your garden. Great idea about using herbs to help repel insects. I never thought of that until I read this post. We always planted some herbs for our cooking, and we just placed them near our door at the back to allow for easy access. Would you suggest we plant various herbs in different parts of the yard? Would it be of benefit to repeat the same herbs every few feet around the perimeter of the yard to make a sort of barrier? I’ve never heard of Tansy I’ll have to look that one up unless you have post on that here. I look forward to your answers to plan next years garden. Hello Paul it is so good to meet you. Herbs are so wonderful it is amazing the many uses that we get from them. Sounds good to me but make sure that as you plant them though out the yard that they are planted in areas where they can get at less 4-6 hours of sunlight and also remember to add some type of organic material in the planting hole to ensure healthy plants. Tansy is a great plant having also been use for medical purpose. So I encourge you to do some research on this plant and it is also a flowering plant so you get to add some color to your garden area. Hope this helps, all the best to you and your garden project and please do let me know how it goes. Have a good day. The benefits of herbs are many! They certainly are helpful in cooking and have health benefits. Now you add that they are also good at repelling insects. I am happy to know that there are natural ways to eliminate some of the pests that are an inconvenience to us. It there a certain amount of each herb needed to effectively repel insects? Another question that comes to mind is about using the dried herbs inside to repel insects. So they have to be herbs that you dried from fresh or can we use prepackaged herbs. Keep this great information coming! Hello Jan it is good to meet you, plant herbs in groups of twos or threes in my opinion is more effective giving them the right spacing to grow. And as for herbs for example you can buy dry bay leaves and distribute throughout your shelves, hope this helps. All the best to you and have a good day. One thing I did plant though was peppermint and I noticed that every time I went outside the plant was smaller until finally it was just gone…Something was eating it but I have no idea what. Do you know what it could have been because I see that listed as a plant that is supposed to repel insects. Hello you have asks a good question, while it is true that mints repels a certain group of insect there are some insect including snails that will attack mint. 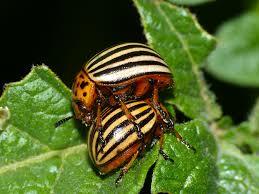 For control of these insects on mint apply and organic insecticide. You can also Google this information. Hope this helps, have a good day and if you have more question just send me and email I will be more than happy to help. Have a good day. Hey, this is a very interesting site. Seems like someone has been real busy – so much interesting and valuable information. I am sure I will be coming back to this site as I love gardening. I have a big garden so I am sure I will find some great tips here. I especially like the info on growing an organic garden and also about the plants that repel insects. Hello I am glad that I could help, herbs are so awesome. all the best to you and have a good day. Hi Norman, excellent content. I live in Croatia, close to the sea and I have problems with mosquitoes, they have become intolerable and we can not enjoy on the terrace as much as we wanted. I did not know that rosemary and basil can help to ward off mosquitoes. I’ll try to plant more rosemary and basil and I will see the results. If this does not help, at least I will have great spices that we all worship to eat and for mosquito I will have to find another solution. Hello it is so good to meet you , If these herbs do not work which I know they will please contact me and I will give you some other solutions that you can try by using other non-edible plants. Thanks again and have a good day. Recently I have looked for the alternative ways to repel the insect without using the chemical because I have allergic to the insect repellents product. This article seems very interesting and surely I will take this as my best alternative. Actually, I have a lot of question regarding the plants you talked about, but I just want to ask you some critical question first before go into deep. 1. Is this plant can be use to repels the mosquito? 2. Any side effect to the human? 3. Does this plant grow in the south east asia climate? Hello it is so good to meet you, herbs are very beneficial to humans because of the many purpose that they serve. Herbs contains healing properties and also gives food a great flavour. As far as I know herbs does not have any side effects. I have never heard of anyone getting sick from them, I use herbs myself. Now as for south east Asia, I don’t know about herbs in this part of the world,but what you can do is check with your nursery or garden center and see what they offer. They just maybe offering some of what I suggested in my article. Hope this helps all the best to you and please give me a should on how things goes. Thanks a lot and have a good day. It’s amazing that plants such as thyme and mint that people like the smell of – at least I do – have a repellent effect on certain insects. It’s great to have an alternative to dangerous or unpleasant chemicals to keep insects at bay. I’ve found an ant spray to keep ants off my patio in the summer and it smells very good to me and isn’t dangerous at all. I believe it includes lemon and thyme. I also like your advice to gradually allow herbs to become accustomed to less sun before bringing them indoors for the winter. You include a lot of good, helpful detail here. I agree that we should consider the multiple ways to use and enjoy the plants in our garden to obtain the best results and value. Thank you! Hello Jennifer it is so good to meet you and thanks a million for your kind words.Herbs are so awesome and it is great how they serve us in so many ways. Glad that I could help, all the best to you and have a have a good day. This is a wonderful article about the benefits of using herbs to repel insects. So much more natural then using pesticides which can be hazardous to your health. For the past couple years I’ve been using dried up mint tea leaves to eliminate ants in the house for the summers. It works very well. I think I might try planting some herbs outside this year for the mosquitoes. Those pesky things are always around trying to bite you. I found this article very interesting. As an avid gardener myself, I have planted herbs for using in cooking, but never thought about the fact that they might in controlling insects!! I now have plans for planting certain herbs to help combat them, although will have to wait until next year to execute, but gives me lots of time for planning. Hello brad so good to meet you, herbs are pretty amazing and can help us in so many ways. Glad that I could help, please let me know how it goes. have a good day.